Telling time is tricky for students learning another language. 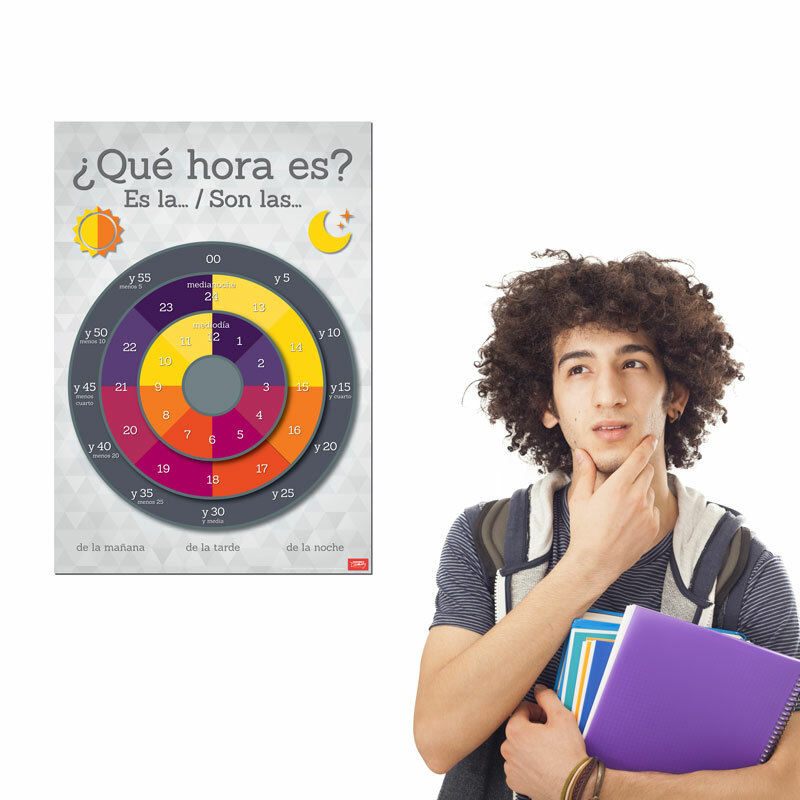 This poster eliminates the guesswork with an easy-to-read clock that shows minutes and the hour in 12- and 24-hour increments. 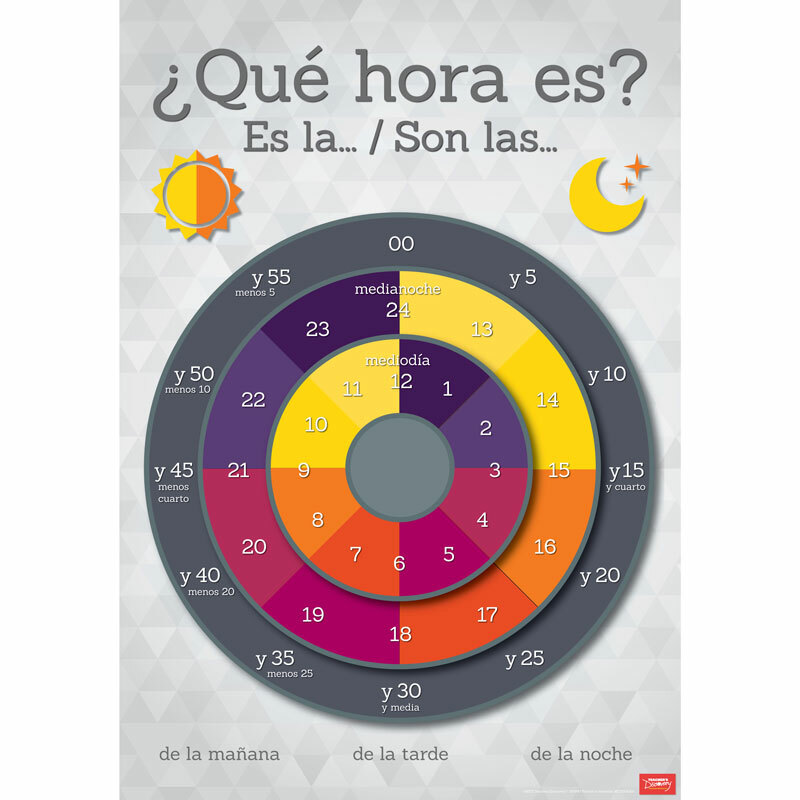 Key phrases remind students how to express time, and colors help them visualize the time of day. ©2015. 19 x 27 inches. Laminated. Where is the 'menos' in the poster? 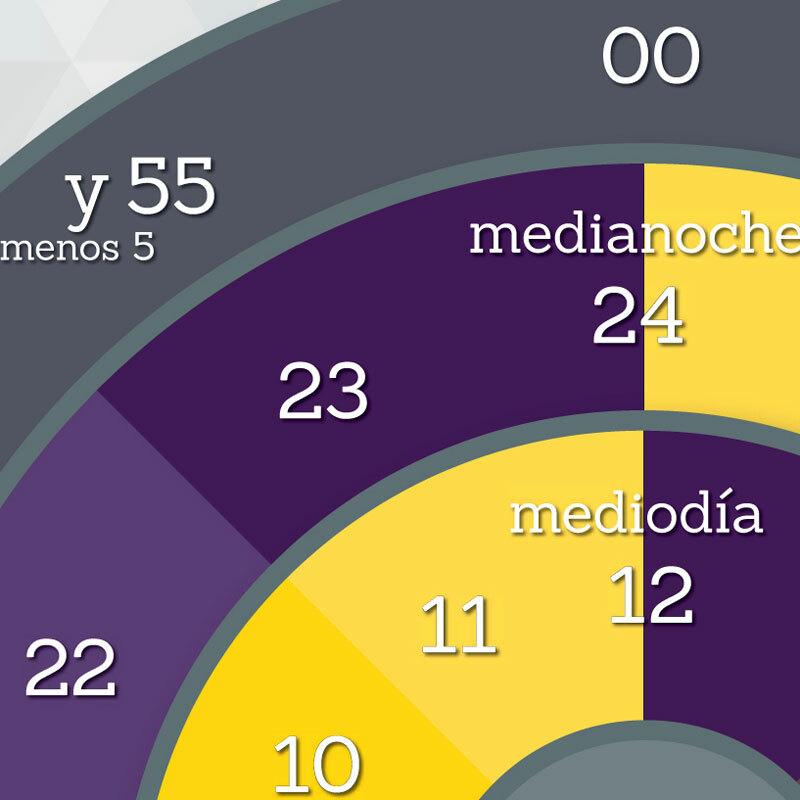 The most difficult part for the students is understand the reading of the left of the clock with the 'menos'. I don't see that in your poster. In addition, I find very confusing the different circles. Makes a difficult idea much easier to understand! Telling time for many students is a difficult subject to understand. This poster makes it so much clearer! I have been teaching this concept for over twenty years and this makes it so much easier! It is very practical visual that will help my students to learn time and review at any time.